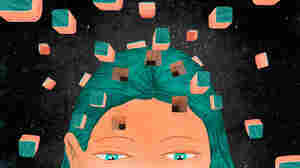 The Distracted Mind NPR coverage of The Distracted Mind: Ancient Brains in a High-Tech World by Adam Gazzaley and Larry D. Rosen. News, author interviews, critics' picks and more. November 5, 2016  The new book The Distracted Mind: Ancient Brains In A High-Tech World makes the case for managing the tsunami of digital distractions to aid how we learn, absorb information and live.